Model 300, Baumanometer sphygmomanometer, by W.A. 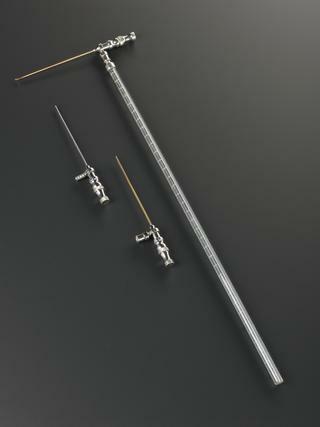 Francois-Frauck double manometer on brass stand, used with Marey chronograph to study blood pressure at d'Arsonval laboratory, by Charles Verdin, French, 7 rue Linne, Paris, France, 1851-1900. 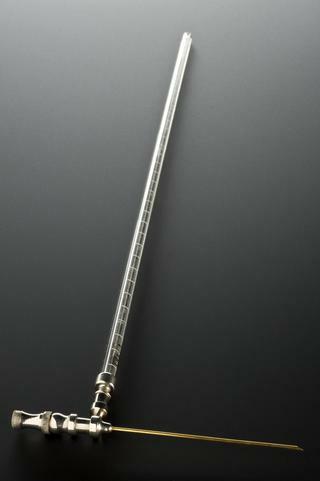 Glass manometer with wooden backing and metal stand, used with Marey chronograph to study blood pressure in d'Arsonval laboratory, possibly by Charles Verdin, French, 7 rue Linne, Paris, France, 1851-1900. Mercury sphygmomanometer, manometer only, in wooden case, by Hawkesley and Son, 357 Oxford Street, London, England, 1890-1930. Manometer from Hill and Barnard sphygmomanometer, by James Joseph Hicks, 8-10 Hatton Garden, London, England, in case.